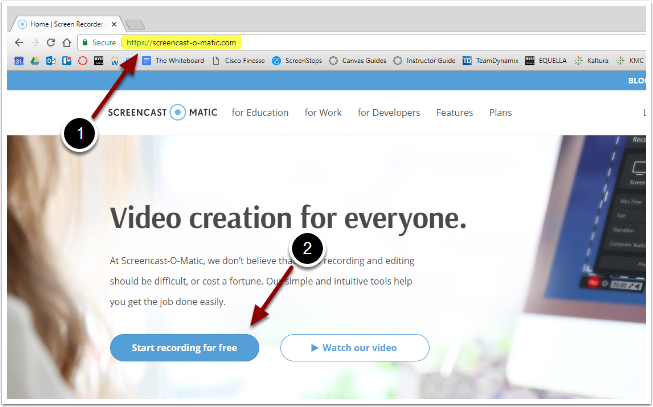 EdTech Help GuidesED206 Screencast-O-MaticHow Do I Download And Install Screencast-O-Matic? This article walks you through the steps of downloading Screencast-O-Matic onto your computer. Go to the Screencast-O-Matic website. Select "Start recording for free." 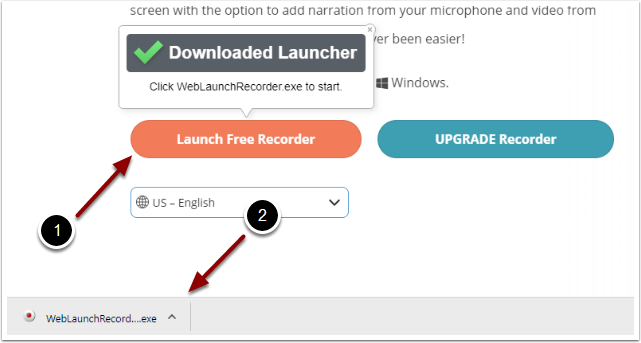 Click the Launch Free Recorder button. This will download the installation file. Open the WebLaunchRecord....exe file that will appear at the bottom of the webpage to install the launcher. Once the WebLaunchRecorder.exe file is finished running, the screen recorder is ready to use. Prev: How Do I Post On An Online Discussion Board? Next: How Do I Use Screencast O Matic?